Here's a tip for straight shooters: get all the information out in advance and watch the event sales roll in. 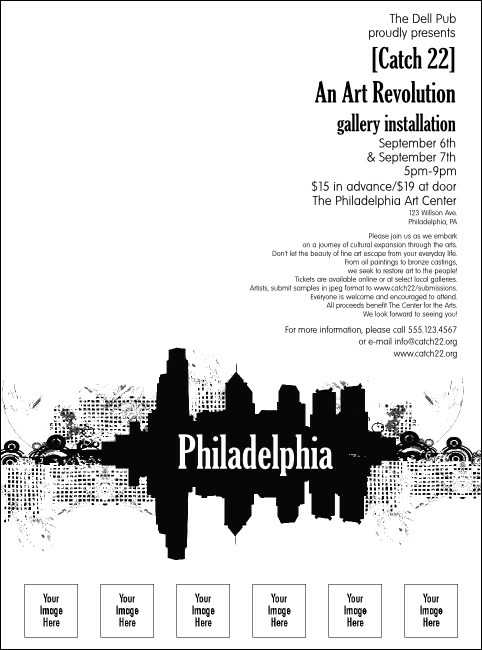 Choose an economical black and white Philadelphia Flyer with a lovely image of the skyline and its reflection in the water so people take notice. Add six of your own images and let everyone know what you're planning. At TicketPrinting.com, one-day turnaround lets you start making money fast!